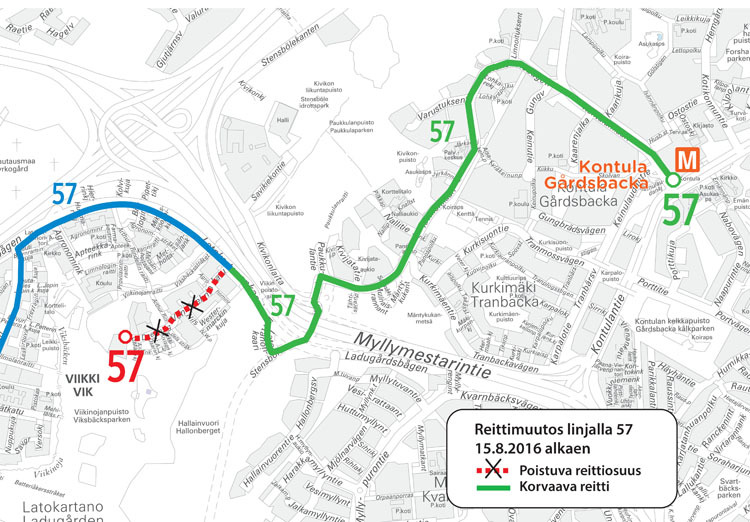 Route 57 will be extended from Latokartano to Kontula Metro Station from 15 August 2016 to improve transport services in Kontula, Kivikko and Viikki. The bus will run along Latokartanonkaari to Kivikontie via the recently completed Ring Road I interchange. The bus will no longer run along Von Daehnin katu in Latokartano.